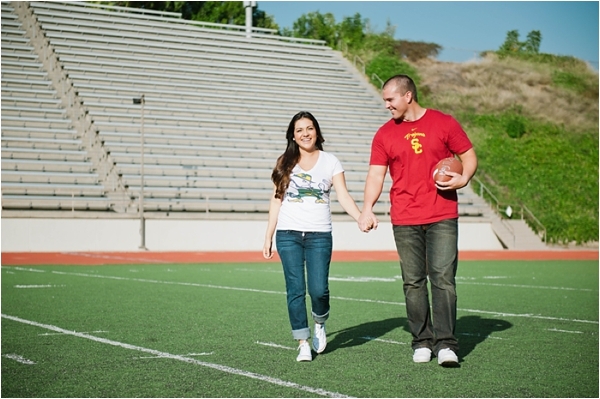 Being an huge sports fan, this sporty engagement session by Desiree Shuey Photography is definitely one of my favorites. 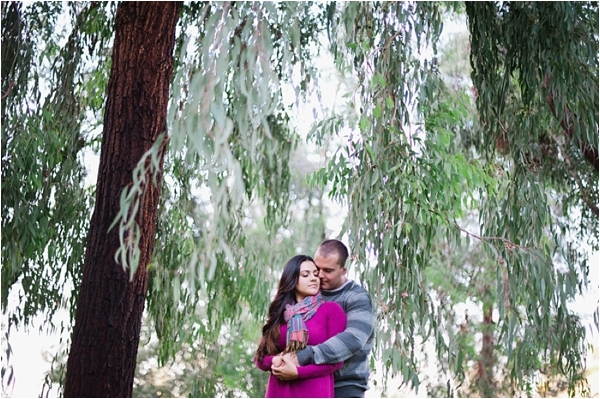 I love it when couples make their engagement session about them. About what they love to do. That's that makes engagement sessions just so perfect. 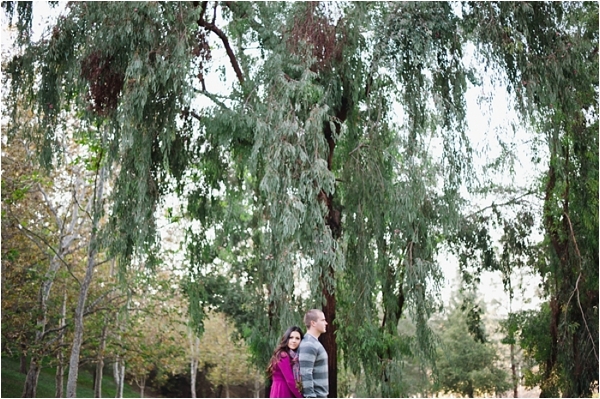 From the couple: Our engagement session was so perfect, it brings out our personalities perfectly. 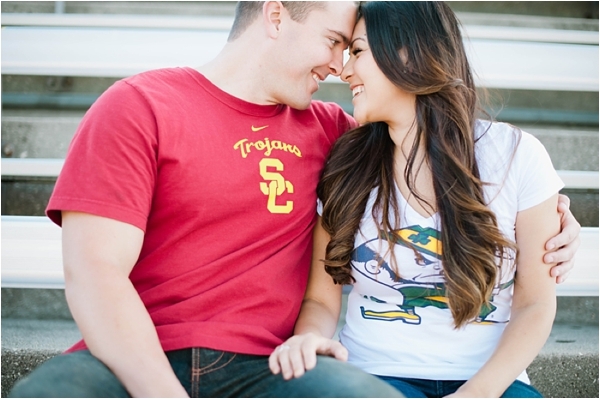 We LOVE college football, he love USC and I love Notre Dame! Rivals on the field, but never at heart! 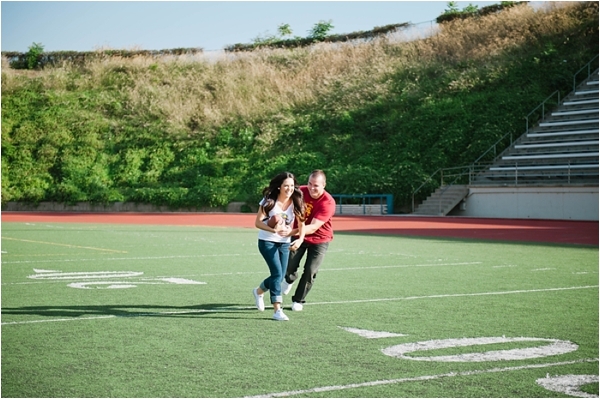 What better than to have fun with a little football and than show the love we have for each other all in our engagement session! 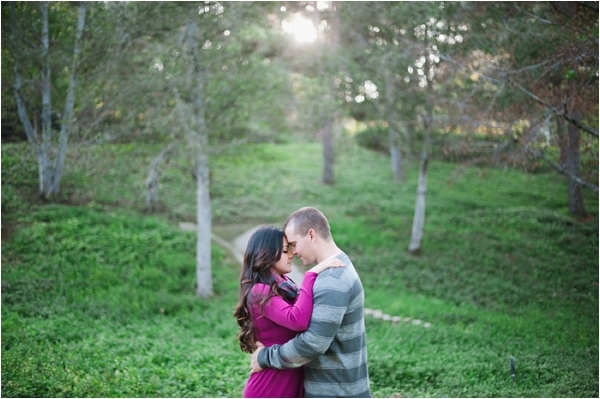 Desiree was amazing and made us feel so comfortable, making our engagement session something I will never forget! 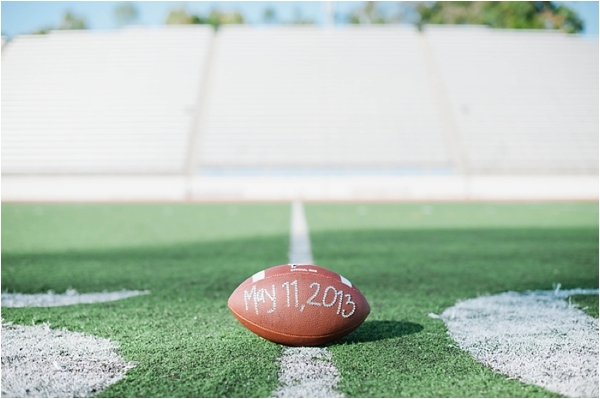 Their love story: Robert and I met through a mutual friend on my 21st birthday. Our first date was a lunch date at the Yard House in Rancho Cucamonga, he still teases me about remembering what I was wearing and what I ordered to eat that day. 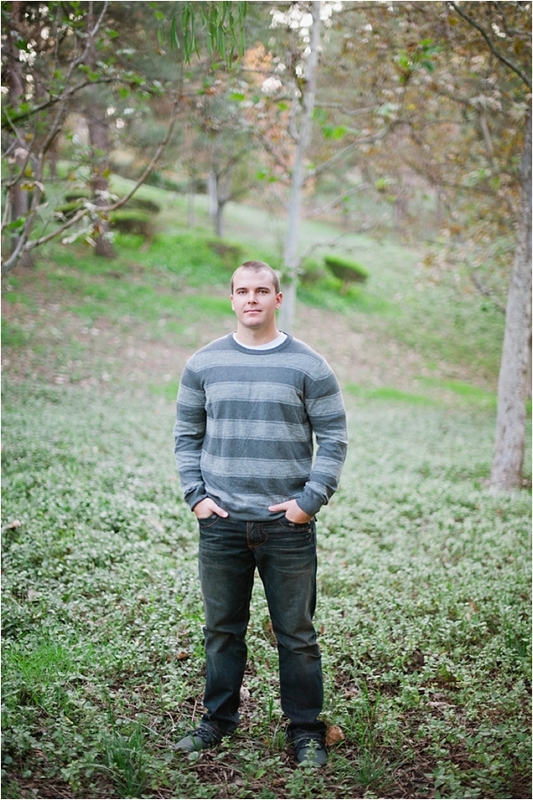 We had our second date that same night when he invited me to join him for drinks in Huntington Beach. From those first dates until now our relationship has been amazing, we share a love for sports, taking trips, cooking, wine, having friends over and our gorgeous daughter Sophia. We know we went a little backwards and had a baby before marriage but we both know if we would go back in time we would do it all exactly the same! 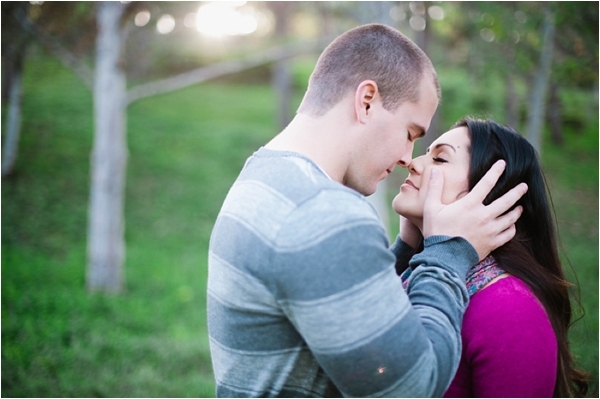 The proposal: Robbie proposed to me on the day of our baby shower and I could not be happier to be marrying this man. I was opening my gifts and as I opened the last one he said he had one more, I was blindfolded, I was so excited because I thought I was going to be getting a really nice stroller, (like a Louis Vuitton stroller or something!) once the blindfold was removed, I saw him down on one knee! I cried so much but was able to manage a yes! !